Your exacting standards don’t end with the mixing, blending or manufacturing of your product. Royal Chemical knows that proper packaging is a crucial part of the job. We can efficiently package both liquid and powdered products in virtually any size, from just a few ounces to rail cars. Select from a wide range of standard configurations or allow us to use your proprietary packaging and take advantage of our flexibility and capability. 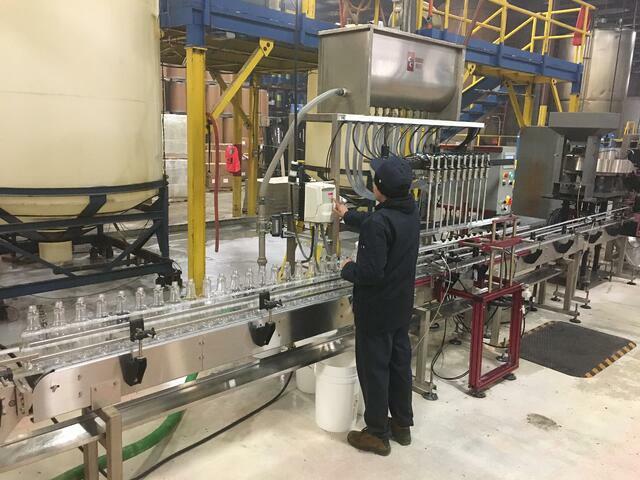 Royal Chemical has eight bottling lines which can efficiently fill 8 ounce to 2.5 gallon bottles. We are experienced in filling a wide range of configurations including rounds, flat panel, trigger sprayers, goose-neck, laundry, and measure-pour bottles. Quick changeover methods allow us to produce in economical lot sizes. Need larger sizes? We efficiently package in pails, jerricans, drums, totes, bulk tankers, and rail cars. 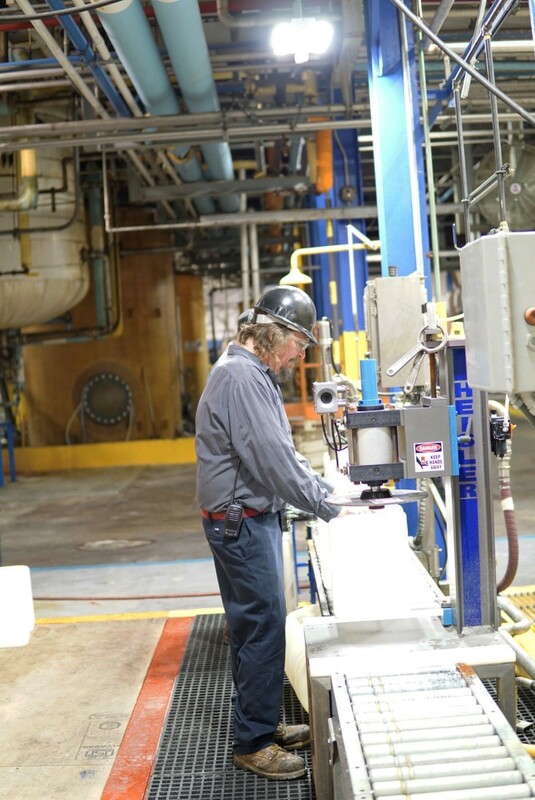 Royal Chemical has some of the most extensive powder packaging and repackaging capabilities in the industry. We handle form-fill-seal pouches ranging from 1 to 15 pounds, bottles in many sizes and configurations, bags, boxes, drums and super-sacks. Have a packaging question? We have the answer. Does Royal Chemical provide transloading or re-packaging service? Can Royal Chemical package wipes or water soluble pouches and pods? Royal Chemical does not have in-house capabilities for wipes or water soluble pouches and pods. However, we have supply partners who can perform these type of services for our customers. What is the smallest lot size for packaging? Minimum lot sizing depends on phase (liquid or powder) as well as package size. The minimum lot size for powdered products is 1,000 pounds. The minimum lot size for liquids is 220 gallons for pails and larger packaging or 1,000 gallons for bottled products.